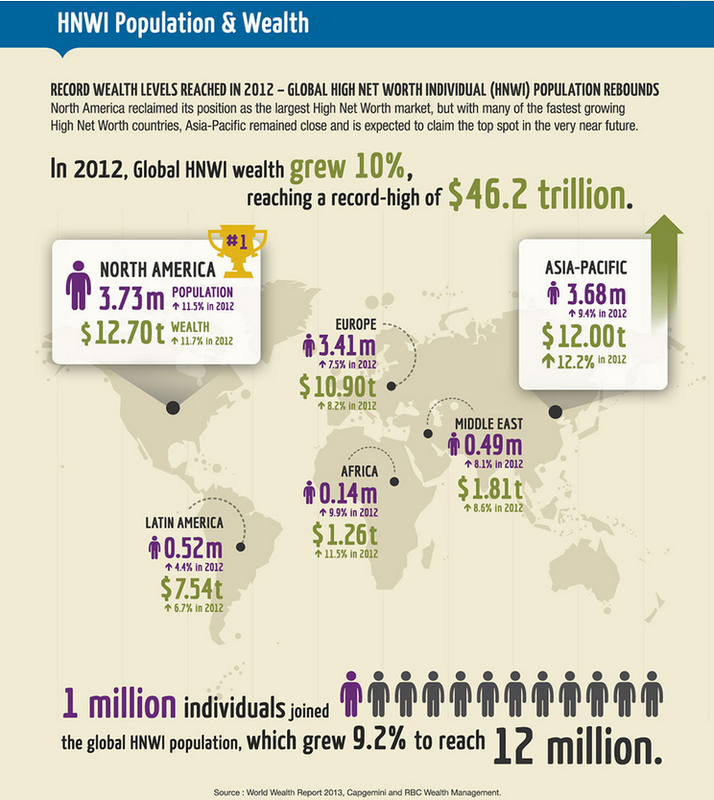 CapGemini and RBC have published their World Wealth Report for 2013. It contains a great deal of interesting information on the rich and the very rich, including the fact that the global population of persons with $30m or more is around 111,000. That number is down from the peak of the boom years but up over the previous year.